Our 3v3 Tournament is in the past now, but you can relive some of these awesome memories by checking out our 2018 3v3 Recap! 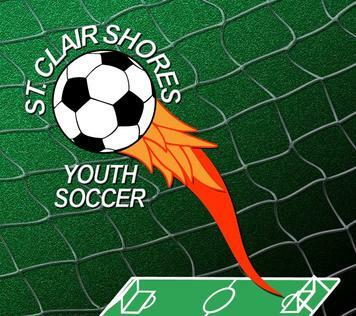 THE ST. CLAIR SHORES YOUTH SOCCER LEAGUE offers instructional programs for children of all ages and abilities to participate in. Our primary program is a Michigan State Youth Soccer Association supported league for children 4 1/2 to 13 years of age. Fundamental skills are taught while building a sense of sportsmanship. Fun is always emphasized. Recently added is our U19 program for high school kids who still wish to play. Our other program is Scooter Shooters, which offers new players ages 3 1/2 to 5 years old the chance to learn soccer basics. Each session is an hour long with the time divided between skills development and an inter-squad game. All referee calls are final, please do not argue with the refs! NO dogs are allowed at fields. Smoking, vaping and alcohol are also prohibited at fields.